Hey, how ‘bout some more Thundercats? You guys like that, right? Sure you do. And, if we’re gonna look at some Thundercats, it might as well be their stalwart leader, Lion-O. Yeah, let’s look at Lion-O! 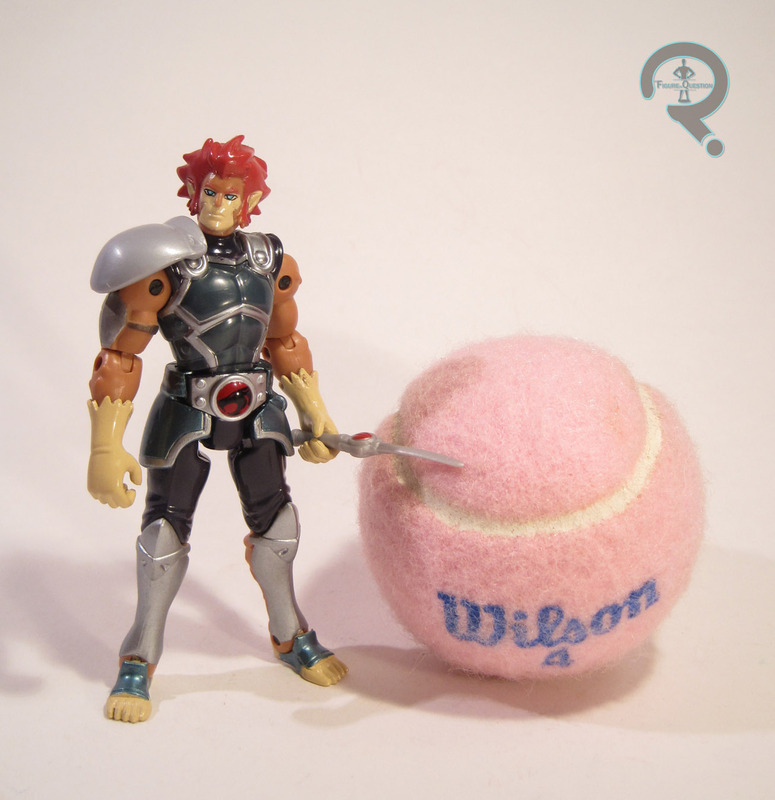 Lion-O was released in the first series of Bandai’s smaller-scale Thundercats line. He, like the rest of the line, is based on his main appearance from the 2011 incarnation of the Thundercats cartoon. The figure stands about 4 inches tall and has 20 points of articulation. Lion-O’s sculpt is unique to this figure, and it does a rather admirable job of translating the modern Lion-O design into three dimensions. The general proportions have been tweaked ever so slightly (his arms are a bit bulkier than they were in the show), but as a whole, he really looks like the does on the show, which is a pretty cool look. The articulation isn’t clunky, and is worked into the sculpt pretty well, aside from a few spots where joints stand out a bit. The quality of the paintwork isn’t quite as good as the sculpt, but it isn’t bad. The base colors all match up with the source material and everything is applied pretty cleanly. The only real issues are that a few spots are missing their paint apps, and the joints are totally different colors from the plastic around them. 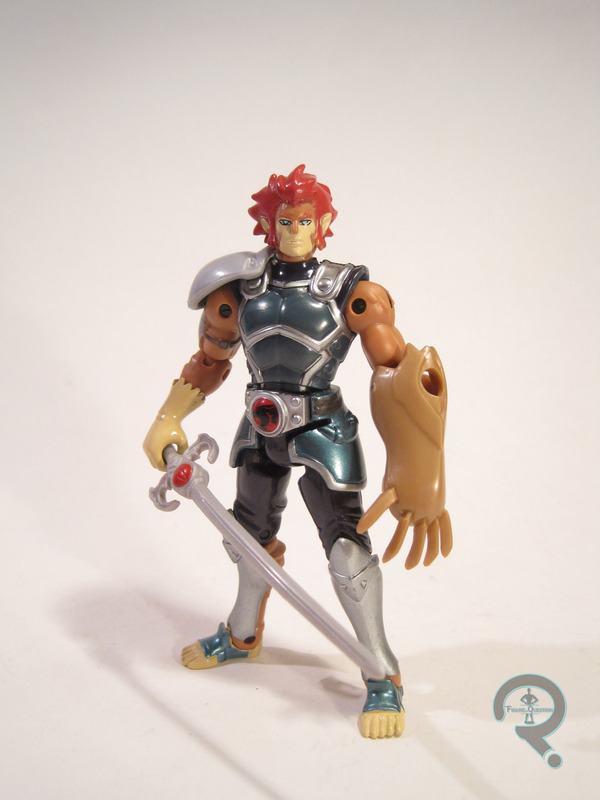 Lion-o included both long and short versions of the Sword of Omens (the short one can even be stowed at the top of his gauntlet), as well as a clip-on Gauntlet of Omens. Thundercats was very ominous, wasn’t it? When I bought the Tower of Omens, I had no other Thundercats figures. My dad took one look at it and said “you know you’re gonna end up with a whole collection of Thundercats, right?” I swore up and down that that wouldn’t be the case. And then I was at Yesterday’s Fun, and they had a whole shelf of these guys, and I kinda caved. I’m down on Bandai America most of the time, but Lion-O is a surprisingly solid figure, and is probably the best Bandai America figure I’ve ever bought.